Sandwich, MA (July 10, 2018) – A woman and two children were hurt in a crash in Sandwich early Tuesday. Police report that the crash occurred around 12:52 am on Farmsville Road and Cotuit Road. There, they say that a 40 year old woman from Cotuit ran off the road and struck a tree. It is unclear why the woman ran off the road. Two children in the car suffered serious injuries. One child was airlifted to Massachusetts General Hospital with life-threatening injuries and a second child was transported to Hasbro Children’s Hospital with serious, but non life-threatening injuries. The woman was transported to South Shore Hospital with non life-threatening injuries. She is currently listed in serious condition. The crash remains under investigation at this time. No further information is available. Almost everyone who has ever operated or been a passenger in a motor vehicle has first-hand experience with vehicle crashes. 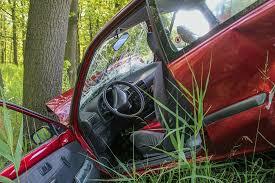 For many people, a vehicle crash is fortunately not severe. It may involve damage to your vehicle. After a brief negotiation with the other driver’s insurance company, you receive a property damage check, get your car fixed and go on about your life. This is a minor inconvenience at best.